Many are the citations of late that expose a rampant increase in man’s desire to deny scientific truth in favor of sham-science. This is perhaps most obvious in the matter of intrinsic human rights which, fundamentally, begin when a particular individual begins. Or not? It depends on who is pontificating about that beginning, how the human being begins, and under what circumstances it is recognized. Is this happening because of ignorance or arrogance? You decide. Let’s begin in Jerusalem, where an American woman named Ellie Lavi recently gave birth to twin girls who were created in a fertility clinic. The two girls are very much alive and human but, according to the United States embassy in Tel Aviv, will not be recognized as United States citizens. The reason is that, according to an embassy staffer, the “children were not eligible for citizenship unless she [Ellie] could prove that the egg or sperm used to create the embryo was from an American citizen.” If Ellie had adopted twin girls from Russia, for example, while in Israel, these children would have been eligible for U.S. citizenship. Then there’s the disquieting case of California reproductive law attorneys, Theresa Erickson and Hilary Neiman, who plead guilty last year to charges involving surrogate motherhood and baby selling. The case was addressed most recently in Emily Beitiks’ article, “Illegal Surrogacy Operation the ‘Tip of the Iceberg.’” Beitiks comes to the conclusion that more laws are needed to regulate this industry. I disagree. The fundamental problems that result from these cases have to do with the inability of lawmakers, ethicists, and others to see that the very idea of creating a human being in an artificial setting is itself the real crime. Clearly man is creating man in his own image and according to his own plan of action. Let’s be clear, headlines such as those cited above and a recent one entitled, “Fetal Body Parts Used for Research,” are but examples of a much larger problem. That is the failure of scientists, ethicists, lawyers, and others to see that procreation is reserved for the marital act for a very good reason: Children are not property, they are not laboratory mice, and they are not technologically reproduced gobs of cells. They are human beings with intrinsic human rights who have a right to be brought into being within the sanctity of marriage. Period. Sadly, even in pro-life circles the intricacies of this truth—not to mention the rights of children who come about due to asexual reproduction in natural situations and otherwise—are not only misunderstood, but avoided. Why else would a leading Catholic bioethicist suggest that fertilization is the earliest stage of the human zygote? There are two errors in this statement. First, the Carnegie stages—the gold standard of human embryology—prove that, before the zygote can occur, stages 1(a) and 1(b) have to occur. Only then is the zygote fully formed. 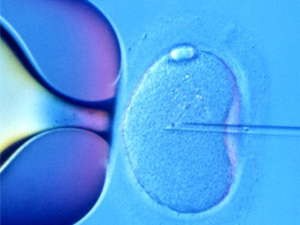 Second, a human being can begin asexually both in the mother’s body (i.e., identical twins) as well as in an in vitro fertilization (IVF) or assisted reproductive technology (ART) lab. This means that the use of the word “fertilization” is also an error. It is inaccurate language like this that leads to confusion in the public mind and the abuse of terms. For example, the use of the term “fertilized egg” is scientific nonsense. Reproductive technology continues to create ethical challenges not only for the children, but for the family and the culture itself. The wisdom of the Church needs to become the guide for the practice of sound scientific exploration. Until that time, we will continue to see more agony such as that suffered by a mother who innocently wishes only to have her children recognized as Americans. This post is difficult for me to understand. The distinction between “scientific truth” and “sham-science” is interesting. Can humans be created in a fertility clinic? Whether a person is recognized as a US citizen or not is a legal not a scientific question. Are two issues being considered, one the legal question of citizenship and the other the moral question of in vitro fertilization? It is claimed here that children have the right to be born within a marriage. I am not sure what this means. If a child is born outside marriage can it sue, if so who? There are legal problems in many jurisdictions. These must be resolved. The scientific problems also exist, but these are different. Do each of the 23 Carnegie stages represent an arbitrary point in a trajectory leading to a fully fledged human fetus? The problem for many is when is a human formed. Is it pedantic to quibble about the use of the phrase “fertilized egg”? Is the definition of the zygote as the initial stage when two gamete cells are joined adequate?